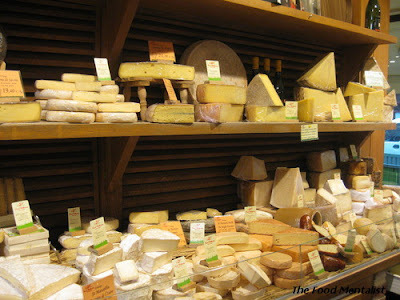 Following our trip to France where we nearly ate our own weight in brie, washed rinds and every goats cheese imaginable, Pete and I returned to Sydney eager to learn more about cheese. It was Pete’s birthday, so after scouring the internet I decided to surprise him with one of McIntosh & Bowmans’s cheese experiences. We started the day by catching a ferry from home to Circular Quay where we are to meet Claudia ( the McIntosh from M&B) I hadn’t told Pete what we were doing but tell him that he is going to love it! We arrived a tad early, so we decide to sit down and have a coffee at Wharf 6 and whilst waiting I spot Claudia whom I recognised off the website. I point to her and tell Pete we are about to meet her, he stares at me perplexed. After finishing our coffees, Pete and I walk over to where Claudia has set up her display sign and introduce ourselves. Immediately, Claudia is warm, friendly and professional and instantly I know we are in for a good day. She tells us that once the rest of the group arrives we will head to Fort Denison on the 12pm ferry run by Matilda cruises. It’s a glorious day on the harbour and there is a short commentary by Matilda cruises about the harbour and Fort Denison. As we pass the Sydney Opera House we can see them setting up for Oprah and it looks amazing! Only wish I had been successful in winning tickets to see her! Upon arriving at Fort Denison we are given a glass of sweet pink bubbly and greeted by a gentleman from National Parks & Wildlife who gives us a quick spiel about the island. We make our way up to a grassed area where Claudia tells us there will be canapés and she will be back shortly. We enjoy the views of our majestic harbour taking a few photos whilst we munch on our canapés which include fresh oysters. I realise it’s been years since I have visited Fort Denison (pre restaurant) and since Pete is from Perth, it’s his first time. Claudia comes to collect us all and we head downstairs into a large room where we are met by the most wonderful sight, individual cheese plates, and lots of wine! There are several platters of sliced sough dough scattered around the table and fabulous sliced rounds of Pastilla Nash walnut and prune log in the middle of each cheese plate. Claudia tells us that the log is a great accompaniment and palate cleanser and to try some if at any time we taste a cheese we aren’t too fond of. A cheese I won’t like? Never! I find that the log is amazing on its own anyway. There are also a fabulous set of tasting notes and I eagerly start scribbling down notes. Since our trip, Pete and I have decided to learn all we can. Claudia gets us to start by introducing ourselves and telling the group our favourite cheese, there are a few comedians in the group and we share a few laughs. Each of us has several glasses of wine in front of us including two whites, a red and a glass of Moscato. 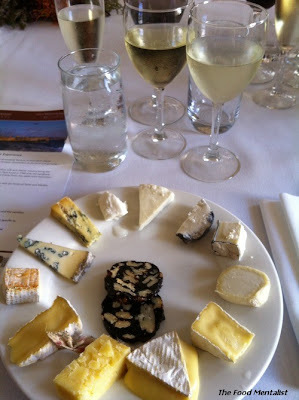 All of the wines are excellent but I can’t stop staring at the cheese and forget to write down the names of the wines. I do however write down “Logan Moscato, Logan Creek near Orange”, as I can’t go past a good Moscato and this one is delightful. Before we start, Claudia tells us to smell each cheese before we taste it. She explains that it adds to the cheese tasting experience and is something so many people don’t do, but should. Ok then, let the cheese smelling begin! We start with a Paesanella buffalo milk mozzarella, its divine and I’m already thinking: vine ripened tomatoes, basil, and olive oil! Next, is a Meredith sheep’s milk feta by Julie Cameron in Victoria. It too is fantastic.Claudia explains how the imported feta in Australia is often too salty because it is packed in salty brine to preserve it for its long trip to Australia. Unfortunately, many importers fail to wash off the brine. I also remember my friend Girlfriday telling me something similar about the feta in Greece, which isn’t as salty as it is here. This feta however, is lovely. I note down ‘Julie Cameron’. We will be purchasing this at a later date! On to the goats cheese! A Jannei Buche Noir to be exact. This cheese won a Gold Medal in the Sydney Speciality Cheese Show in 2005. It is coated in a vine ash and has a rather delicate goat’s milk flavour which is complimented by its yummy smooth creamy texture. Claudia tells us that you can purchase this cheese at the SMH’s Growers Markets in Pyrmont which is held on the first Saturday of each month. I know instantly that this will be one of my favourites for the day. This is followed by a Holy Goat Matured Skyla from Sutton Grange in Victoria. If you know and love Australian cheese, you have probably heard of Holy Goat. The cheese is handcrafted and made from the milk of 'happy' free range goats who eat herbs, shrubs and fresh grass which results in a high quality product. The cheese has a creamy texture and a great depth of flavour; it is slightly nutty and very moreish. The next two cheeses are both camembert. The first is the McLaren Camembert by producer Woodside Claudia points out some of the differences between Australian and French brie and camembert and highlights that these differences are largely due to the regulations and manufacturing processes permitted in Australia. As such, Australian brie and camembert often have a slight chlorine scent and flavour. I had never noticed this before but it is SO true. Take note the next time you try an Australian brie or camembert. It’s not offensive, but it is distinct! This becomes even more evident when we try the next cheese which is a Rouzaire camembert from Normandy, France. Claudia states that she threw in a French cheese for the day so we can draw some comparisons, not to mention it is unbelievable good. We remember to smell this one and are instantly transported to a farm; you can smell hay and an earthy freshness. 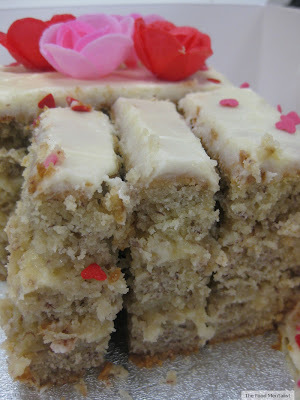 It is absolutely divine and has a velvety creamy texture with mushroomy/cauliflower flavours which are almost ‘meaty’. I only wish I had a whole wheel of it! At this point, Pete and I start slipping into a cheese coma, we are in our element! Claudia also highlights the fact that the French are currently trying to get the laws changed to ban countries other than France from calling a cheese a brie or camembert. It’s the champagne debate all over again, but fair enough I suppose. The AOC ( Appellation d’origine contrôlée) which translates to controlled ‘designation of origin’ is a French certification controlled by the government which gives cheeses, wine, butter and other agricultural produce certification for being produced in particular regions of France. Its aim is to maintain the integrity of the product by ensuring it is produced using traditional methods, with the correct ingredients in the correct geographical region. It therefore protects producers and empowers the consumer by telling them that a particular food is certified (in the form of a seal on the product). You may have noticed this on some French wines? For those of you who are fans of Salvador Dali’s artwork ‘The Persistence of Memory’ ( think melting pocket watches) you would be interested to know that he was actually inspired by a melting half eaten wheel of camembert. I just LOVE these occasional reminders of the fusion between art and food. Moving on, the next cheese is the Pyengana cheddar by producer John Healey in Tasmania. The word Pyengana is actually an Aboriginal word for the meeting of two rivers, and such a great name it is. The cheese is a cloth bound cheese and I still have a small piece of cloth on my piece of cheese, how rustic! The cheese itself is slightly flaky which I like in a cheddar and it has a nice bite to it. The next two cheeses are from the Barossa Valley Cheese Co. The first one is the Washington washed rind cow’s milk cheese. At this point Claudia brings out several bottles of Coopers Pale Ale and tells us how well beer pairs with cheese. She explains that it can cut through some of the flavours of the cheese without altering its flavour, whereas wine can actually taint the palate. Who would have thought! We try it and she is right. It works. Simple. I take note and remember to make sure I serve some beer with my next cheese platter. The cheese is nice and has a full flavour with a hint of sweetness. 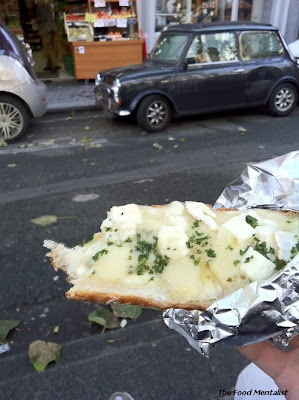 Le Petite Prince is next and it’s a goats cheese. It is smooth and creamy and has that wonderful goats cheese flavour. At this point I’m thinking oven roasted garlic mushrooms and toasted sourdough with a drizzle of good olive oil! Onto the Old Telegraph Road Fire Engine Red cheese from producer Jindi Cheese in Victoria. It is a wash rind cow’s milk cheese which was named in honour of the firemen and fire engines that fought so hard during the Black Saturday Bushfires to defend Jindi cheese. It has mushroomy/cauliflower flavours and is soft and delicate on the palate. We finish with two blue cheeses. The first is the Meredith Sheep Milk Blue from Meredith in Victoria. It is very earthy and it reminds of Roquefort (ahhhh Roquefort!). For our last cheese Tarwine Blue from Berrys Creek in Victoria, Claudia tells us to cut it in half and she brings around chocolate brownies which are moist and everything that a good brownie should be. She tells us that the brownies are made by the Restaurant here at Fort Denison. We try the cheese on its own and it has quite an intense flavour. It is very creamy which can be attributed to the milk from the Jersey cow which is used to make this cheese. It is only lightly veined and I don’t think blue cheese-phobes would find it as confronting as say Roquefort. It is very moreish and just before I finish it off Claudia remind us to try a little bit of the cheese followed by a bite of the chocolate brownie. I never would have thought about this unusual combination before but they really complement each other. I then take a sip of Logan Creek Moscato and I’m in cheese heaven. I’m so happy as I have finally found a way to combine three of my favourite things: blue cheese, chocolate and Moscato. At this point I consider doing a little celebratory dance but figure it would be just plain weird, so I refrain. 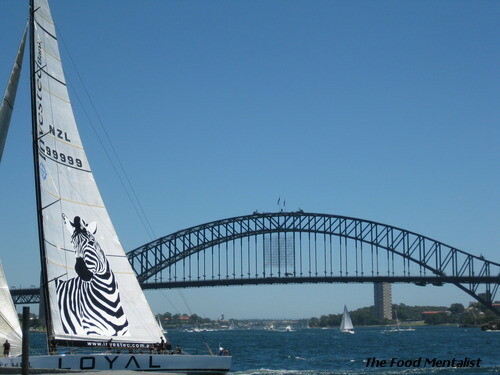 We stay back and have a brief chat with Claudia about the best places in Sydney to buy cheese and the French vs. Australia thing before it is time to head out and meet our ferry. As we are leaving the room we notice that several of the other couples have left copious amounts of cheese on their plates. Confusion sets in and I start thinking, did they not like cheese? Were they feeling unwell? There is absolutely no reason for this. What in the world were they thinking?!?! It’s a travesty, I tell you! I find it hard, but I eventually move on. Pete and I manage to come down off our cheese cloud and catch the ferry home having thoroughly enjoyed the day. We both highly recommend it. Simon,I totally agree with you! I wish we could buy stuff like this in Sydney. 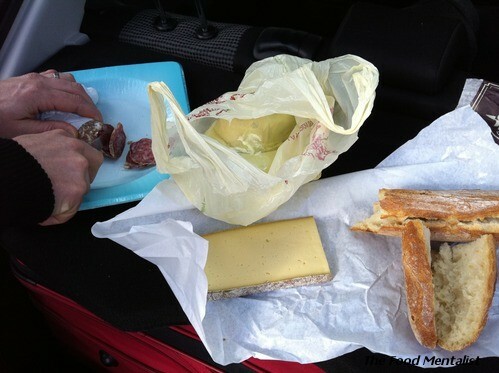 I loved your goats cheesem brie and parlsey baguette, it looks so delicious.